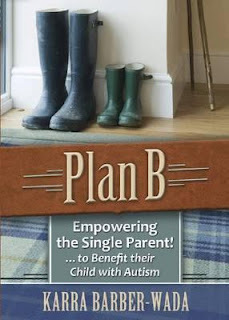 Plan B is a book with a well defined and very specific target; single parents with children who have autism. It's written in a very positive way and contains a lot of very good advice, all of which falls neatly under a very clever strategy; called "plan B". The book is very well laid out and is easy to read with lots of clear sub-chapters. There are regular tips sections and some great real life story asides which show the techniques in action and put a human face to the book. Some chapters have minor exercises designed to get you to focus on your priorities, budget or wants and needs. The book seems to be geared more towards the "higher functioning" types of autism, such as Asperger's syndrome but I have no doubt that the techniques within it are more or less universally applicable. It also spends most of the time dealing with single parenting due to divorce but it has a section dealing with the death of a spouse. It's a book which comprehensively covers its subject area. The main sections of the book are a long introductory area which sets up many of the key concepts, then chapters focussing on effective co-parenting, finances, life balance and preparing your child for adult life. That last chapter is very good and covers some things I haven't seen in an autism book before, particularly the use of social mentors. The book concludes with an excellent "frequently asked questions" section. It's pretty clear to me that every parent in the target group should read this book but I think it's useful for married couples too, especially if you're in a situation where one parent is considerably less engaged in raising the child than they should be. I have no hesitation in recommending this book to people in these circumstances or to those who support them. "Plan B: Empowering the Single Parent! ... To benefit their Child with Autism" by Karra Barber-Wada is available from Future Horizons and from Amazon.